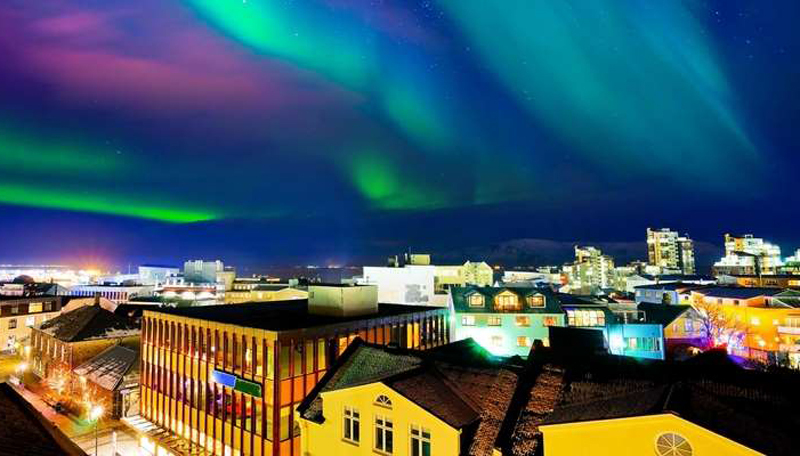 Northern Lights from the city center in Reykjavik, Iceland. Travelers who worry about their safety abroad might find some peace of mind when they check out the latest list of the safest countries in the world. Which? Travel used statistics from the World Economic Fund to compile a list of the safest countries by their risk of violent crime. What they discovered was that parts of the Middle East and North Africa are far safer than countries like the U.S. or even popular holiday destinations like France. Iceland came in first for the safest country in the world, which is not surprising as only 36 people have been murdered in the country since 2000. Perhaps more surprising is that the United Arab Emirates tied with Iceland as the safest country in terms of their crime risk index which was 6.6. The UAE was followed by Singapore then Spain. The U.S. ranked 15th on the list, beaten out by countries like Jordan and Morocco which are generally portrayed as being places of contention. The U.S. was followed immediately by Mexico, then India, Thailand, Turkey, and South Africa. Which? Travel also looked at safety in terms of health and natural disasters. Barbados was the safest in terms of natural disasters, followed by Iceland and the UAE. Japan was the riskiest country to visit in terms of natural disasters due in part to their high chance of earthquakes. Western countries had a low risk for health concerns, as did the UAE, Japan, and the U.S.